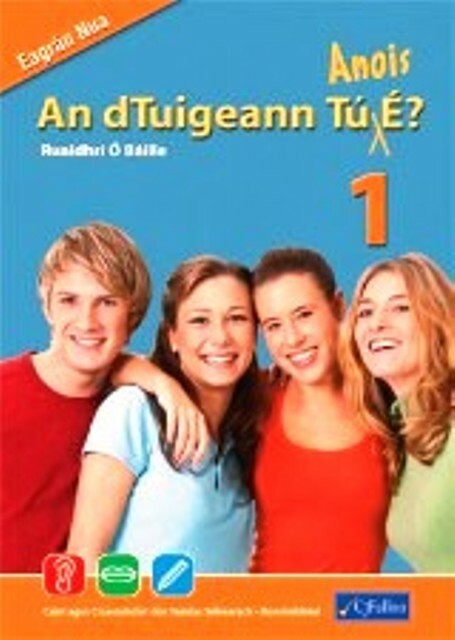 • An dTuigeann Tú Anois É? 1, 2 and 3 have been completely revised to reflect the new Aural Examination layout. Each unit mirrors the new examination format and the CDs have been revised accordingly. • A major innovation is that each of the books contain new and comprehensive material on the Oral Examination format as outlined in the Treoirlínte which were published on www.examinations.ie – the website of the State Examination Commission. • This new material allows teachers to explore the different components of the Oral Examination with their students – allowing the option of taking the Oral Examination in the final year of the Junior Certificate. • However, whether students take the Oral Examination or not, oral work done at Junior Certificate level will prove invaluable at Leaving Certificate level where the marks in the obligatory oral exam has increased from 25% to 40%.